On a busy day for New Japan Pro Wrestling, the promotion announced a return to the United States on this morning's Power Struggle show. 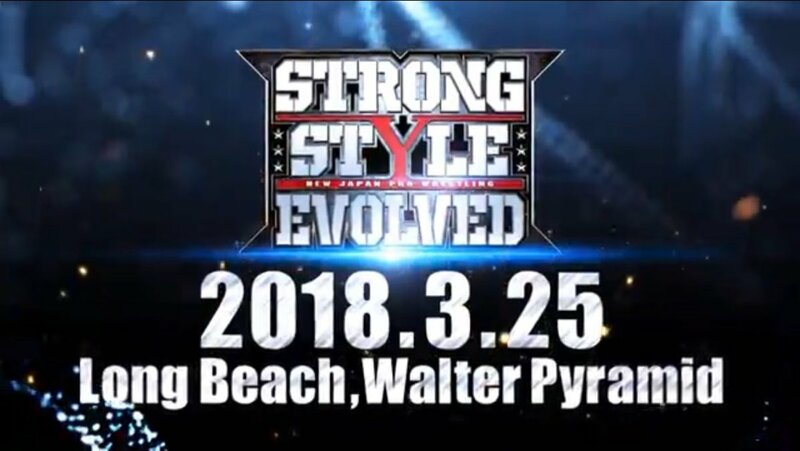 NJPW will be back in Long Beach, California on March 25th, 2018 for an event called "Strong Style Evolved." It will take place at Walter Pyramid, which is a 5,000-seat venue that's located on the campus of Long Beach State University. Walter Pyramid is a bigger venue than the portion of the Long Beach Convention and Entertainment Center where NJPW's two G1 Special events took place this summer. Tickets to those shows sold out shortly after being put on sale, with over 2,300 people in attendance each night. No ticket details for Strong Style Evolved have been announced yet. March 25th falls on a Sunday next year, meaning NJPW will be coming to Long Beach two weeks before WrestleMania takes place in New Orleans, Louisiana. There will be NJPW representation at Ring of Honor's show over WrestleMania weekend, with Kenny Omega and Hiroshi Tanahashi already announced for it.